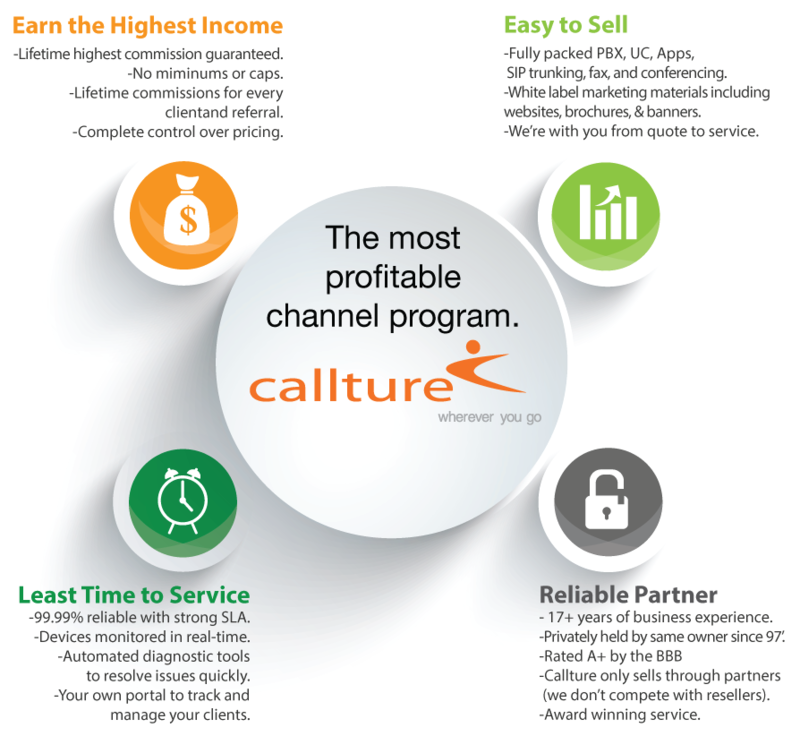 -Callture works exclusively through agents and does not market to end-users. -Comprehensive commissions on all referrals, your business is truly our business. -A system built from the ground up to help you succeed each step of the way. For over 17 years, we’ve ensured that our partners have everything they need to provide their customers with the best products and experience possible. -Full suite of tools and modern technology at your disposal. -Complete parter flexibility - including end-user pricing. -White label marketing materials custom-made presentations, and full support from our marketing team. -Referrals can also be “handed off” to Callture’s agents to fully manage the setup and onboarding process. -Real-time device monitoring means that we contact your clients even be- fore they realize somethings wrong. Note: There is additional commission in selling devices and other services.